This is a layout of two of my beautiful nieces, Emily and Jessica. This is a lovely picture of them, and the only portrait of them together as, sadly, Emily passed away about a month later at the age of 4 months. I wanted this layout to be bright and cheery as a tribute to these two, much lived girls. Just lovely, so sad about her passing. This is a beautiful tribute page for a life that was way too short. I love your layers of lace a colors and images that capture your sweet niece's memory so well! 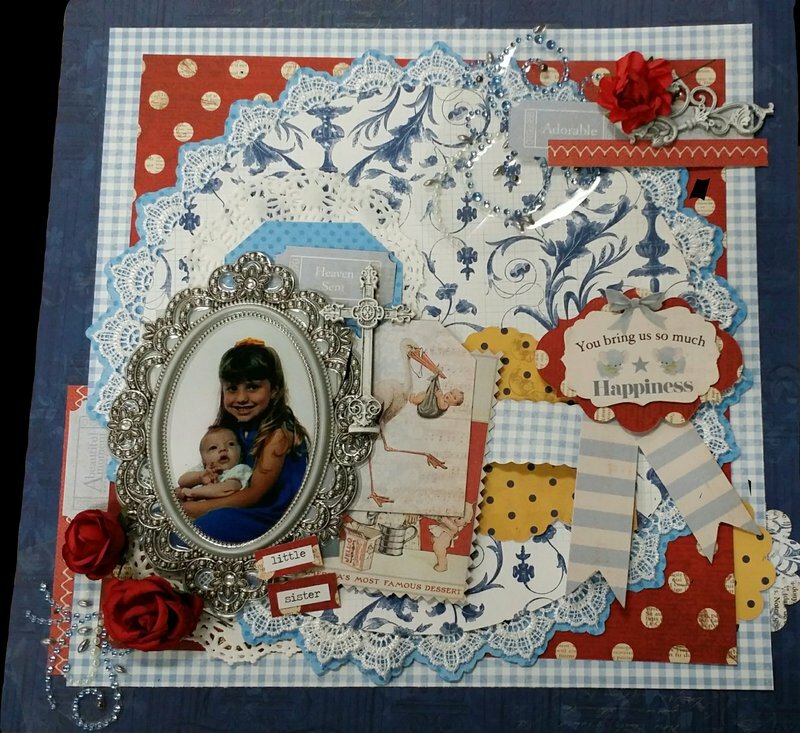 Wow, this is gorgeous, I love this tribute, this must have been hard to do but it's just wonderful, the papers, layers, frame and I love how you matched up the lace around the circle with the paper. A lot of love went into this. What a wonderful tribute and a terribly sad story. My heart goes out to your whole family. All these details are wonderful together and really showcase that beautiful picture. Sweet picture. I love all the layers, bits and pieces.